Pub insurance should be considered by every publican to protect against the risks faced on a daily basis, as well as having in place the right cover to meet the legal obligations as an employer. The risks you face can vary and will include damage to the property, including the buildings, contents and any stock, injury to members of the public visiting your premises and loss of income if you are unable to trade as a result of damage. 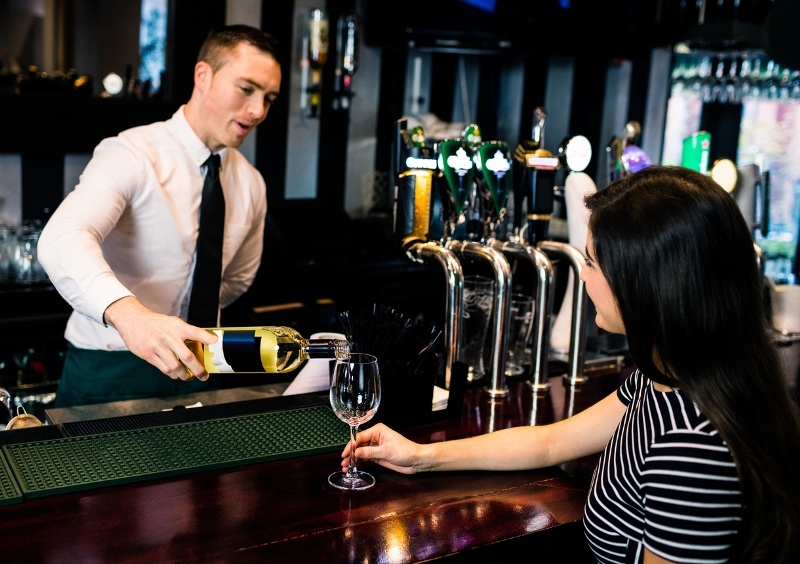 A specialist pub insurance policy will be tailored to the requirements of the hospitality industry, providing a wide range of benefits that may not be included as standard under a retail policy. Having the right insurance protection in place may be something you never have to rely on, but when you are hit with the unexpected it will make all the difference. What does pub insurance cover? Cover under one policy can vary compared to cover under another policy; be sure to check you are getting the right cover and more importantly cover is not being compromised in order to achieve a premium saving. Here are some key coverages that you should look out for when arranging your pub insurance. This will cover you for damage to your business contents including stock, fixtures, fittings, furniture and business equipment. This will include a wide range of perils such as fire, theft, storm and flood damage. Check for Accidental Damage cover, this may not always be included as standard, and when looking at Theft cover, is it Full Theft or just forcible and violent entry? Top tip – When assessing the sum insured for all your trade contents you will need to ensure this figure represents a replacement as new value, irrespective of whether you purchased the equipment second hand. If due to an insured event, the damage results in you being unable to trade, business interruption will cover you for any lost income whilst repairs are made and you are back up and running. Top tip – Look out for the indemnity period, this is the amount of time a policy will compensate you for any loss of income. When looking at the worst-case scenario of a fire, you may need more than 12 months to rebuild the property and ensure payments do not stop prematurely. Accidents happen, and with members of the public visiting your premises for long periods there is an increased chance that you could find yourself the subject of a liability claim if a customer suffers an injury as a result of your business. The policy will also provide you with defence against any alleged incidents. Top tip – You should carry out regular inspections of the premises to ensure a safe environment free of trip hazards etc. There should also be procedures in place to minimise the ongoing risk, if there is a spillage who is responsible for clearing it up, and what action should be taken to minimise the chance of injury? If you employ any staff it is a legal requirement to have an Employers Liability policy in place. If a member of staff is injured whilst at work this will assist you in meeting any compensation they may be entitled to. Top tip – You need to make sure the Employers Liability certificate is available to staff, however this does not mean it must be on the wall, if staff have access to a PC you can deliver this digitally. Failure to have Employers Liability in place can result in some hefty fines. If you lose your licence to sell alcohol, loss of licence cover will compensate you for any loss in value of the business. The loss of licence must be through no fault of your own. Following the accidental failure of refrigeration equipment, any perished refrigerated stock will be covered. Cover for employee dishonesty, also known a fidelity guarantee, will provide you with cover should you suffer a loss of money, stock, or contents following an act of fraud or dishonesty committed by an employee. Legal Expenses Insurance is designed to assist in defending a legal action taken against you, including Employment Disputes, Tax and VAT disputes and more. With Employment Law and legislation changing every few months it can sometimes be difficult to keep up with the impact this has on your procedures. Top Tip – Look for any additional benefits, such as a legal advice helpline. This will provide you with access to a legal specialist for any business-related matters and could save hundreds of pounds in lawyers’ and/or solicitors’ fees. If you own the buildings or are required under your lease to arrange the insurance, adding this to your pub Insurance package can result in additional savings compared to arranging this separately. Top tip – You will be required to provide a sum insured that represents the full rebuilding cost of the premises including the cost of debris removal and professional fees. The market value of your building should not be relied on as this can vary substantially due to location. If unsure of the correct rebuilding value you should seek the guidance of a professional surveyor. You may be able to add this cover for yourself and/or any key members of staff. The cover will provide a benefit should the person have an accident that stops them from attending to their normal occupation. This is not private medical insurance and only provides cover in the event of an accident. Where you live on the premises you may be able to include your domestic contents under one package, usually delivering additional savings. This may only be available if it is you that lives on the premises and may not cover where it is an employee or tenant. Be sure to check this when considering your requirements. All that is left is to pick up the phone and speak to one of our team today, they will be happy to assist with any queries or concerns you have and will be able to provide you with a quotation over the phone, call us on 0800 731 2940. Alternatively, you can request a call HERE.